Had she been sitting down? Try a mid-walk reading on a windless day. Yes, I do mean the weather sort of wind. She was just ambling about in the way she does. I was near the front door, so she came over in the hope that there might be a W— in it for her. might be a W— in it for her. It is a major tragedy, that. And I am for my bed. 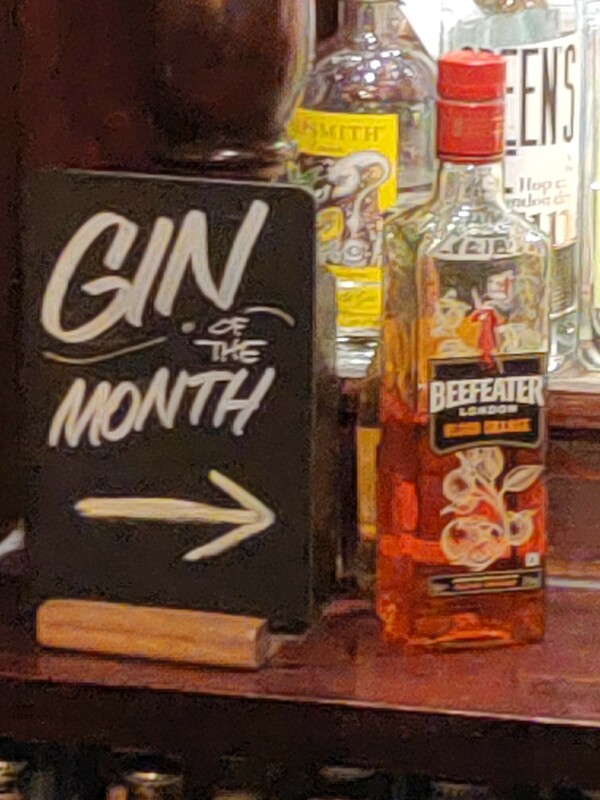 Ah, Marlow… where they stock Sipsmith, but the gin of the month is a Beefeater gimmick. Does Feral speak Linux and or Cisco networking? Cisco is marketable, but it’s not fun. Linux is fun, in spite of the best efforts of the commercial types. Well obviously you want a VPN. It’s time sensitive data so you don’t want to do it over TCP, and you can’t wrap SSL round UDP, so VPN it is. All right, all right, I’ll save it for Dublin. What else do techie types need? No, you’re not, Twellsy. I very much look forward to live reports!